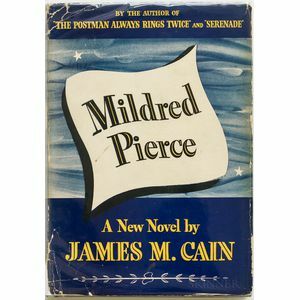 Cain, James M. (1892-1977) Mildred Pierce, ex libris Film Director George Cukor (1899-1983). New York: Knopf, 1941. 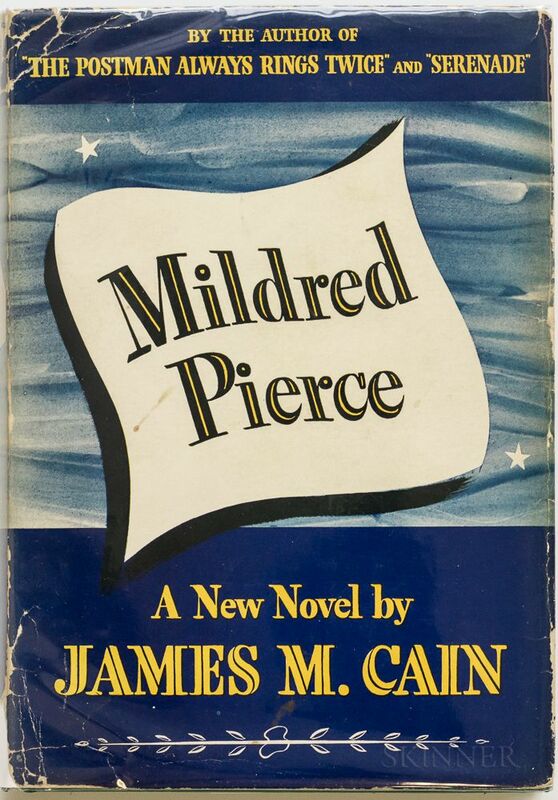 First edition, second printing before publication, octavo, bound in publisher's full green cloth, in dust jacket (tape repairs on verso, large chip with loss to bottom of spine), with director George Cukor's bookplate, designed by Paul Landacre, pasted inside the front board, 7 3/4 x 5 1/8 in.